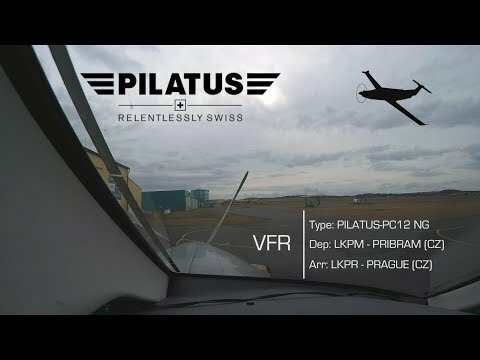 VFR | Pilatus PC-12NG Cockpit View | POV, Live ATC, moving map | Rating: 5! Welcome aboard amazing Pilatus PC12NG for a short VFR flight in Czech Republic from uncontrolled airport Pribram (LKPM) to Prague International Airport /Letiště Václava Havla Praha/ (LKPR). Flight time is just 15 min and our max altitude will be 3000 feet. Feel comfortable in the right seat and enjoy. POV, Live ATC, MovMap.